In 1895 on the corner of County and Rockland Streets in New Bedford stood the Rogers & Sylvia Funeral Home, a small cottage style building. The utilization of the facility was limited since most wakes and funerals were conducted at the family's home. As the partnership aged and health deteriorated, the need for a younger more vibrant partner became apparent. A young man from Lowell, Massachusetts by the name of William H. “Willie” Aubertine inquired about such a position. Following several conversations, a mutual agreement was formed. In 1919, the partnership was formed and the funeral home became known as Rogers, Sylvia & Aubertine, or as many locals referred to it as.... “R. S. & A”. Shortly after forming this partnership, discussions of a new modern location circulated. 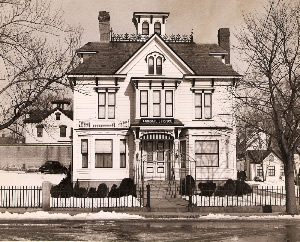 In March of 1935, an Italianate style mansion built by Joseph M. Tripp in 1878 and located on the corner of Allen & Orchard Streets was purchased. This home was previously owned by several different families, most distinguished of which was the Twiss Family. Mr. William A. Twiss was a prominent mill man throughout New England, and in 1889 was given the position of Superintendent of the Hathaway Manufacturing Company. 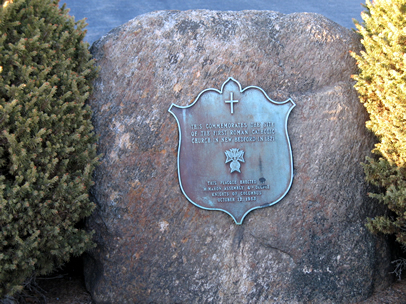 That site happens to have the distinction of being the historic site of St. Mary Church, the first Roman Catholic Church in New Bedford. Following six months of renovations, the new Rogers, Sylvia & Aubertine Funeral Home held a four-day open house to the general public. It was bold, progressive thinking that brought this plan to fruition. The partners realized that wakes and funerals would eventually move from the family home to the funeral home. By making the funeral home as comfortable as your living room, the transition would probably and hopefully be met with less resistance. Being a strong ethnic, traditional area, change comes slowly. Those with tunnel vision saw failure looming. But the Aubertine family saw an opportunity to serve families in a more complete manner that was never before imagined. 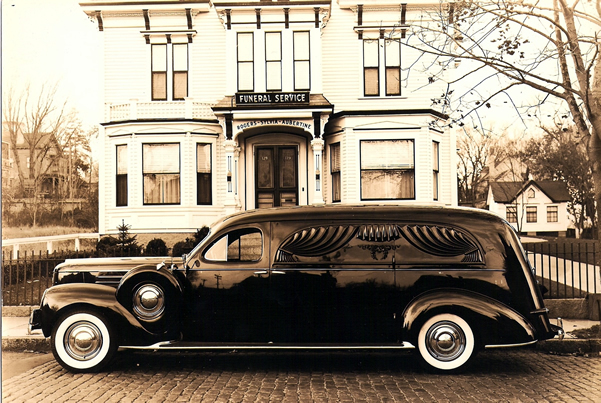 Within fifteen years, a significant number of funerals were directed from within the funeral home. In the late 1950s, the name was altered to Aubertine Funeral Home. William and his son, Norman F. Aubertine formed a partnership and continued with the tradition of service. 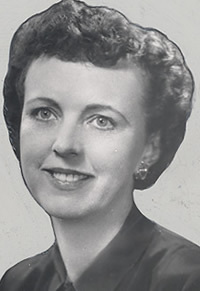 Upon the death of William in 1940, and ten years later upon the untimely death of Norman, Norman's widow and then Registered Nurse Helen D. Aubertine returned to college to earn her degree in funeral directing. 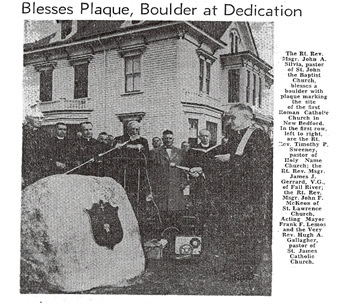 By 1958 Helen's son William H. "Bill" Aubertine graduated from college, becoming a third generation Aubertine involved in the family tradition. 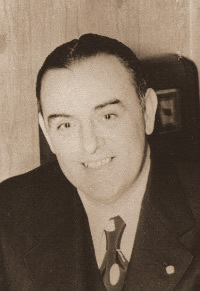 Within a few years, Bill's younger brother Brian also joined the business. Brian's unexpected death in 1975 left only Helen and Bill to carry on. In 1985, a young man by the name of Timothy J. Lopes was hired to assist Bill and his mother in the day to day operations. In 1991, Helen passed away leaving Bill as the only Aubertine to continue in the family business. In 1998 prior to Bill's passing, an agreement was made between Tim and Bill to keep the facility moving through the next century. And so Aubertine-Lopes Funeral Home was formed in March 1999. The bold and progressive thinking which has endured over the generations continues proudly today. Our satisfaction is not measured by the number of families we now serve, but more importantly by the greater number of ways in which we are able to serve them: "The tradition of caring continues."